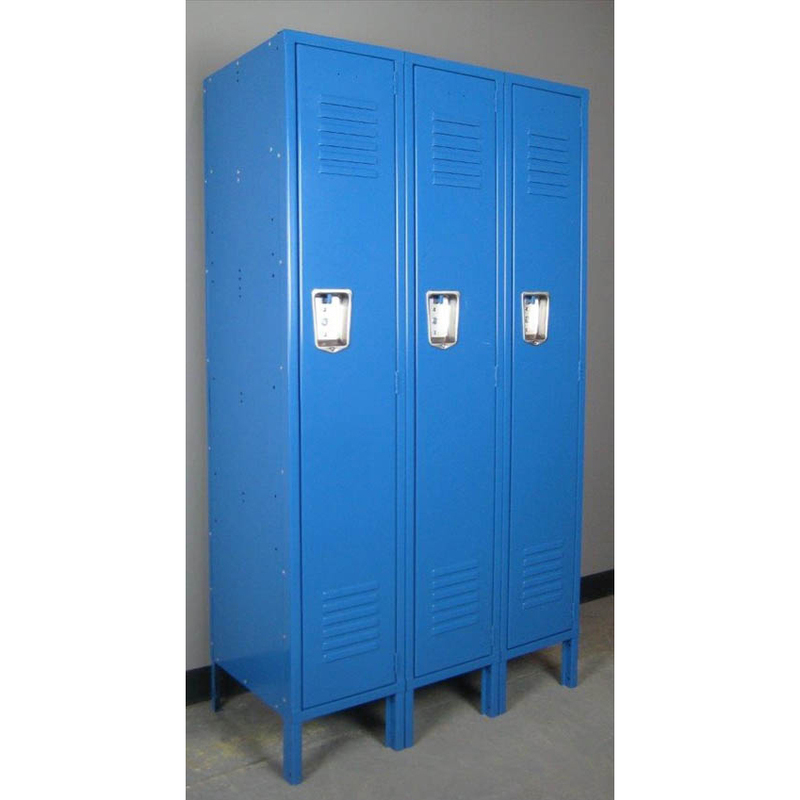 These Blue 1-tier Metal Lockers are available on www.buyusedlockers.com where they have a huge selection to choose from if we need additional supplies. 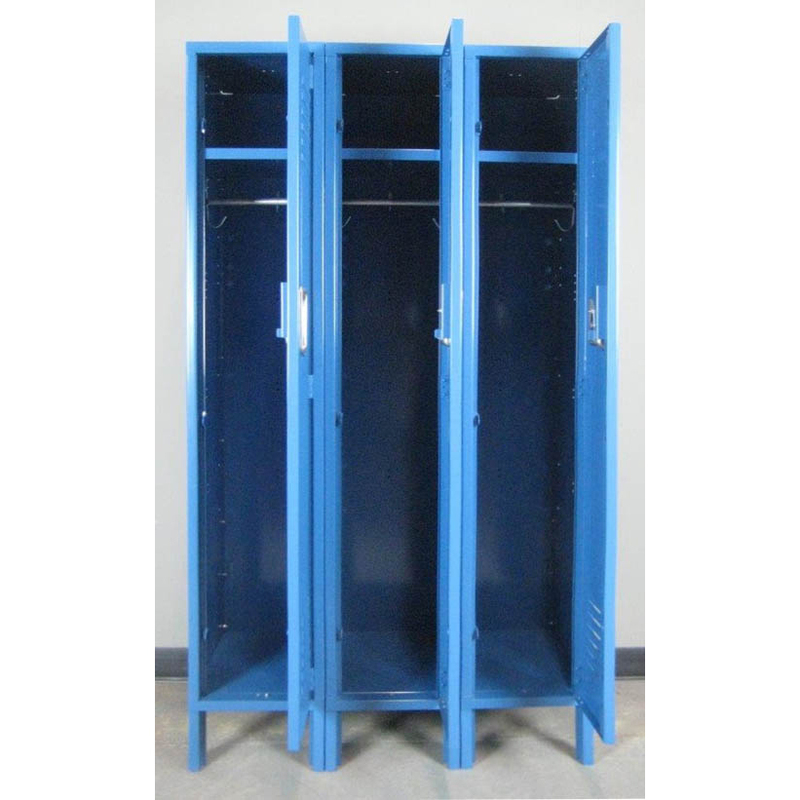 These regular duty steel lockers are in excellent overall condition and ship assembled ready to use. 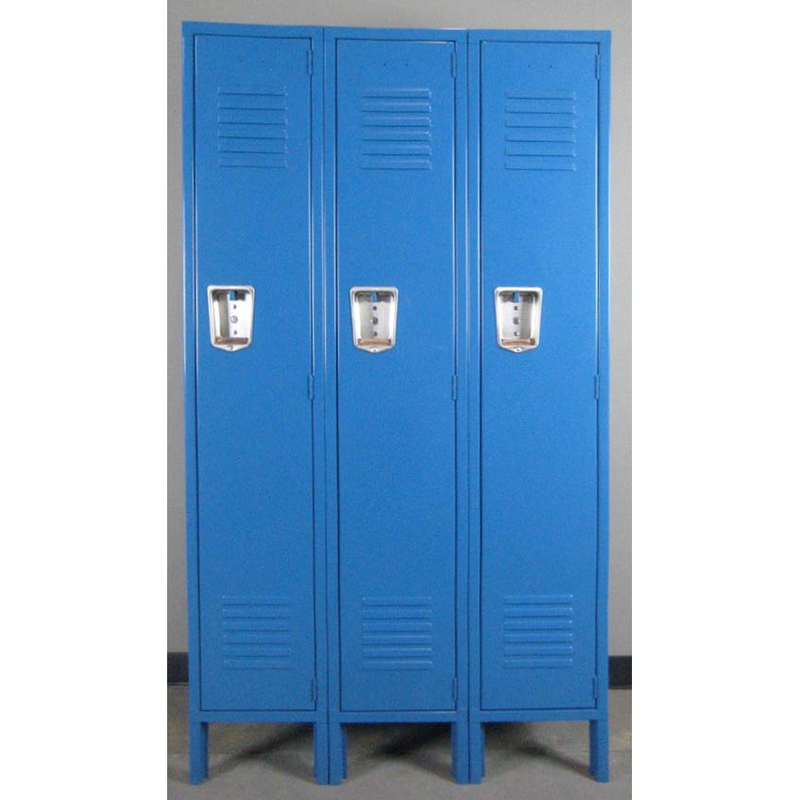 Each locker compartment is 12” wide x 18” deep x 60” high and include 6” legs making them 66” high overall. In addition to the shelf and clothing hooks, these also include coat rods to store clothing on hangers.